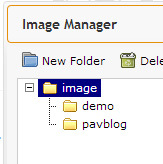 When adding and image you use the Image Manager application. The image folder is the base folder. From here you can view the current folders available or add a New Folder. There are also a few other tools that are useful, including Move, Delete, Copy and Rename. You can Upload new pictures and even Refresh the folders to see and what images they contain. To use an image simply double click the desired image, this will load it to your page. NOTE: Make sure you do not try to upload large digital images as the system will not work! 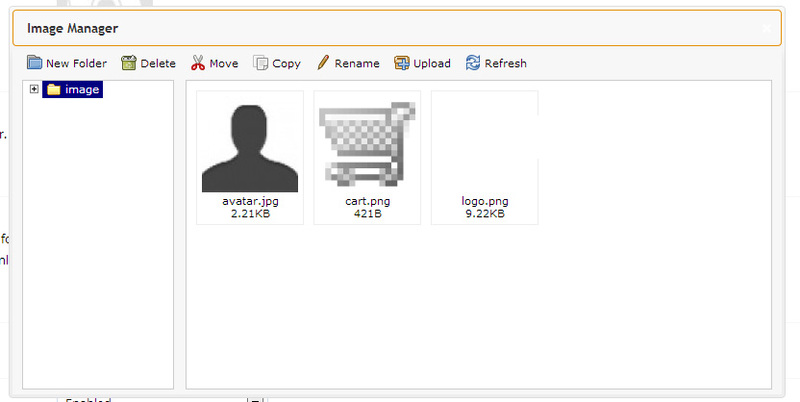 If you have added images to folders you will need to expand the image folder view. After everything is edited, click the Save button in the upper-right corner. If you do not wish to do this, click Cancel.